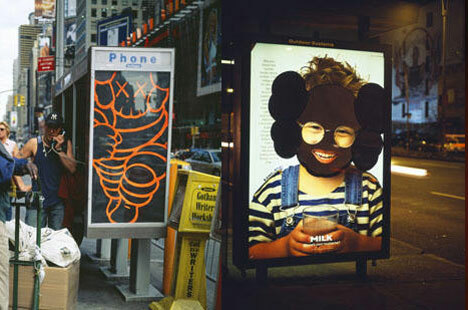 Where do fashion, art, graffiti and cool all intersect? 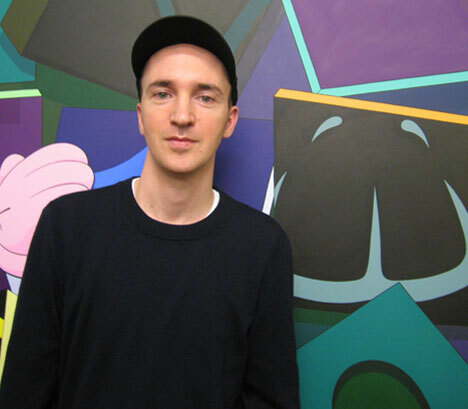 In the mind of KAWS. The New York-based artist, who is referred to as Brian Donnelly by his mother, has been on the cusp of what’s cool, big, important and great about commerce-driven art for decades. 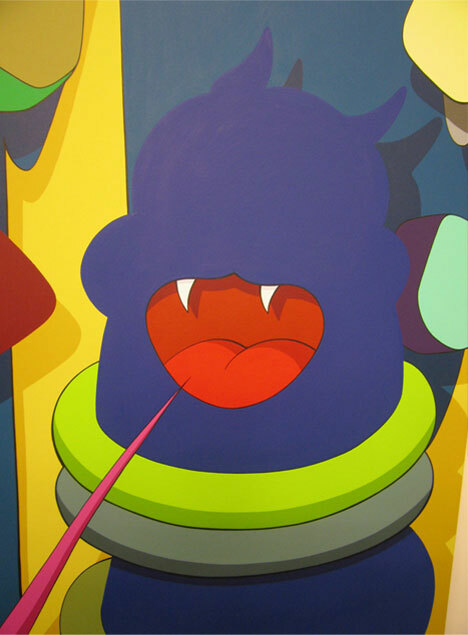 But before KAWS was designing album covers for Kanye West and expensive vinyl toys for high end Japanese and European stores, he was risking life and limb pasting his own work over billboards, subway ads and phone booths (illegally) in New York, Tokyo, Paris, Berlin and other major cities. Anything great involves taking some risks. 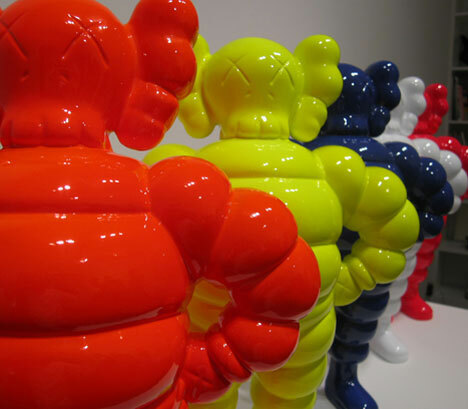 And KAWS was onto something great that was about to be big. 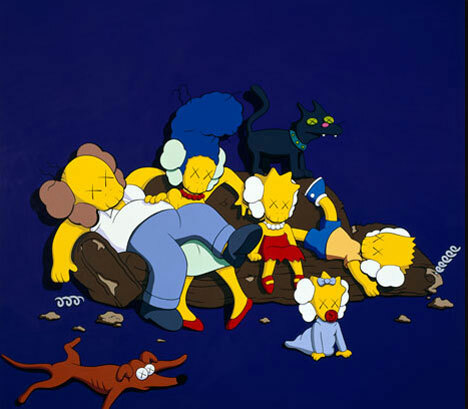 KAWS’ reworkings of The Simpson’s (called The Kimpsons) and his remixing of Mickey Mouse are his two most enduring images. 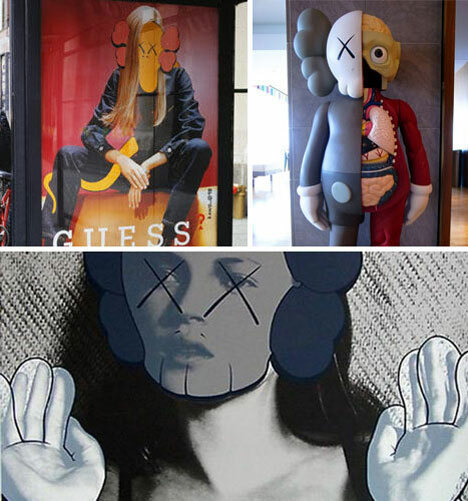 Images of a KAWS-ified Krusty The Klown began appearing everywhere–not just billboards and ads, but on T-Shirts, sneakers and in toy stores. 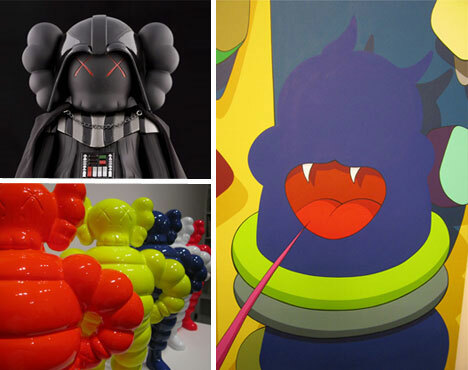 The remixes, the original art, the toys, the posters–they all featured the same thing: a KAWS Skull. Like Andy Warhol’s iconic Campbell’s Soup cans, what began as an ironic parody became an international brand. 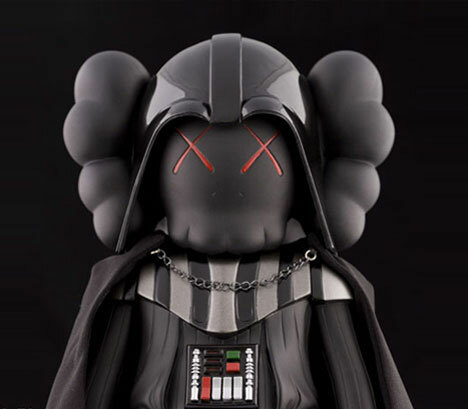 If the graffiti writer as Art Star is a two sided coin with Banksy’s political paste ups on one side, KAWS’ art and commerce cohabitation sits firmly on the other. 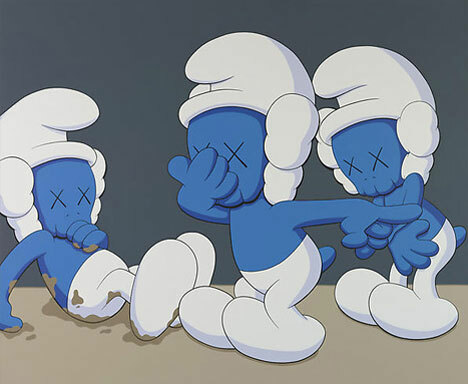 And while KAWS’ work certainly lacks the lasting effect of Serious Works Of Art, what he lacks in political punch he makes up for in fun. And, when the art’s this good, that’s a great thing.